Abdominal Training FAQ: Is it Okay to do Abs Every Day? Is it okay to do abs exercises every day? This page discusses a popular abdominal training question. So many people want to know if they can do abs every day. The obvious answer is you can do anything every day, the better question might be should you train your abs every day. As a physical therapist and personal trainer, I feel I can look at fitness and ab training from many different perspectives so here are a few thoughts about doing abs exercises every day. Ab Training Thought #1: What's your Goal? Is your goal to lose stomach fat? Most people start doing abs exercises because they want to lose stomach fat and get a flat stomach, but unfortunately abs exercises by themselves are not the most effective way to get rid of belly fat. The body is not able to spot reduce. Spot reduction is the belief that if you exercise a spot on your body that you will lose fat from that specific spot, but that's not how the body works. Spot Reduction is the #1 Abs Exercise Myth. In order to lose stomach fat fast, you must take a comprehensive approach to fitness (like in Personal Training Secrets to Lose Belly Fat) and weight loss by focusing on weight training, aerobic exercise, and healthy eating. Simply doing abs exercises by themselves every day will not speed up how fast you lose stomach fat or get a flat stomach. Ab Training Thought #2: Your Abs are like other Muscles. Generally speaking, you should rest muscles at least 24 hours between heavy training. If you work out your legs really intensely and they are sore the next day, that's a sign that you should take it easy the next day and let your legs rest. The same is true of your abdominals. If you work them really intensely, then you should rest them 24 hours before the next workout. If your goal is to build up your abdominal strength, then 2-3 days of ab training is all you need to maximize strength gains. Ab Training Thought #3: You can train abs every day! How hard are your Ab Workouts? In the above thought, I said that if you work out intensely, you should rest 24 hours. But, if your workout is really easy then it is okay to do abs every day. Think about it this way... you walk every day, you talk every day, you climb stairs, type, carry kids, and move around every day. Your body was designed to move and be active every day, so it is also okay to do abs exercises every day. If you exercise any muscle intensely, you should rest it the next day, especially if you are sore. But if you are doing light exercise and you are highly conditioned (used to the exercise or activity), it is okay to exercise muscles every day. Here's yet another comparison to make sure I am being clear about this thought because I know that some people might really argue with the statement that it's okay to do abs every day. Let's say that someone walks 1 mile to work every day. This is light exercise/ activity and this is okay every day. In regards to abs exercises, let's say that you were to do 50-100 crunches every day. If you are in decent shape those 50-100 crunches would be considered light exercise and this is okay to do every day. Now, if you did a 20 mile charity walk, that's heavy exercise and you should rest the next day. Or if you did a 30 minute abs class for the first time, you should probably rest the next day. Ab Training Thought #4: Everybody has a different fitness level. I generally recommend that most people exercise their abdominal muscles 2-3 times a week, but everyone is different. Elite athletes and performers can get away with training vigorously every day. Gymnasts, for example, sometimes train for 4-6 hours a day. And, Olympic track athletes and swimmers can also workout 4-6 hours a day-- remember Michael Phelps. Obviously, if you are an elite athlete, your body adjusts to your activity level. But since most of us are not elite athletes, we should not try to train like elite athletes. Ab Training Thought #5: Gym Goers can Over Train and Develop Muscle Imbalances. Here's a last thought about abdominal training. One of the most common injuries in the gym is tendonitis or overuse injuries. If you exercise regularly, there is a chance that your muscles, tendons, or joints get irritated if you don't rest enough between exercise sessions. A significant problem with training the abs every day could be the development of muscle and postural imbalances. If you always train your abdominal muscles and neglect your lower back muscles, you can actually be increasing your risk of injury by creating muscle imbalances. When one side of your body is so much stronger than the other side, it compromises your movement and joints. You may have seen other sections of my site where I talk about "Core Training". Traditional Ab Training has evolved and has been replaced by core training. Core Training is a philosophy that focuses on efficiently movement, good posture, and a balance of strength in both the abdominal and lower back muscles. Training your abs everyday will not speed up fat loss from your stomach. If your goal is to tone your abs, strengthen your abs, develop a 6 pack, or improve sports performance 2-3 ab workouts a week is sufficient to achieve those goals. If you are in really good shape and highly conditioned, you may find that a 4th ab workout helps to increase your results slightly. If you only do light ab work it is okay to perform abs exercises every day, but it is generally best to rest between ab workouts. If you train your abs excessively and neglect your lower back, you are more likely to experience overuse injuries or develop muscular imbalances. Remember to train your lower back with the same frequency that you train your abs (2-3 times a week). I hope that helps to answer the question, can you train your abdominal muscles every day. Have fun during your workouts. 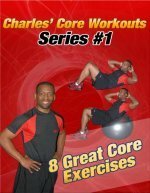 Visit the Directory of Abdominal Exercises to see all the Ab Exercises on this site or try one of our free ab workouts.